DIRECTOR OF SPIRITUAL CARE. Harbor Hall. As a 501c3 non-profit organization, we support and advocate for spiritual care during substance-use disorder treatment. 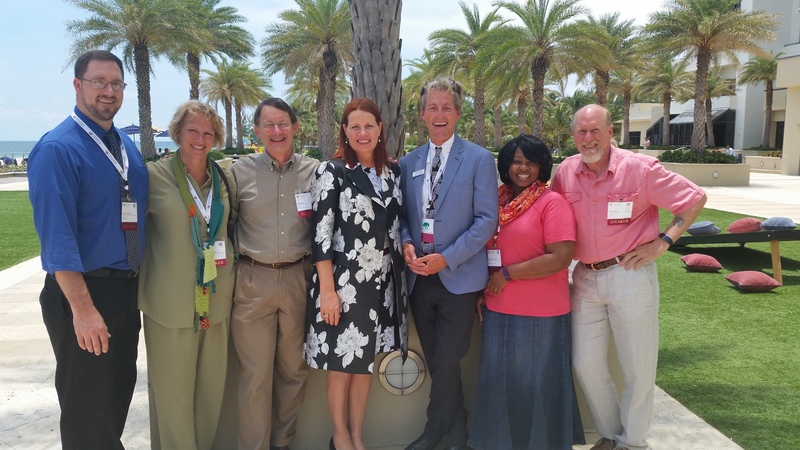 Addiction treatment Industry leader, NAATP, affirms that Spirituality is a core value. Thus, in addition to providing licensed therapists to address the physical, intellectual and emotional narratives of our clients, we also provide a licensed spiritual care professional to address the spiritual aspects that lead to recovery and sobriety. At Harbor Hall Residential: Since 2011, Rev. “Spirit-Dan” (as clients call him) has served as Director of Spiritual Care for residential clients. He is a full-time active member of our clinical team, providing insights on client progress. All resident clients meet with Dan to complete an intake questionnaire, meet individually to complete sections of their Master Treatment Plan and attend weekly lectures on Spirituality. Dan also developed a 12 Step Workbook that is currently provided to clients as an additional tool to further support their recovery. Philosophy: Our understanding of spirituality is not defined in terms of “faith-based” or “religious” ideology. Clients certainly are encouraged to embrace their religion, culture, or faith-based theology. Our treatment journey is to proceed gently into our wounded narratives that penetrate deep within – as some might refer – the soul. In our weekly spiritual lectures or individual spiritual care, clients will investigate the spiritual-characteristics of their feelings, thoughts, beliefs, and behaviors. That is, we ask “why do we relate or connect outwardly and inwardly the way we choose?” As clients endeavor to answer these questions, their minds open, their conversations with peers and therapists deepen, and an inner healing occurs. We call this inward healing, a “spiritual awakening”. Why Spirituality? “We are all spiritual people experiencing humanness”. At our Residential treatment facility, we have observed a majority of clients report resentments, assumptions, suspicions and contempt towards God, the concept of Higher Power, religion, and spirituality. While we are not a “faith-based” organization, our open-minded support and guidance surrounding the concept and contempt of spirituality, God, or religion has remained a highlight of the overall client experience in our treatment program. “My physical being has certainly undergone a transformation, but the major transformation has been spiritual.” (475). Spirituality VS Psychological Health: The relationship between spirituality and mental/behavioral health has been the focus of growing interest and research over the last decade. In fact, the American Psychiatric Association funded the most prominent clinicians and researchers to explore the philosophical issues at stake in the diagnosis of spiritual or psychological/psychiatric conditions. Those clinicians involved in this research made numerous proposals to updating the DSM-IV, in addition to the V Code for a Spiritual or Religious Problem in the DSM-IV. Click here for this research. Bio: Dan was born and raised in Columbus, Ohio. He is married to Christy and is father to their three children, Kaia, Levi and Bryce. He has lived in northern Michigan since 2002. Education: Taylor University (BA), Trinity Theological Seminary (MA), Clinical Pastoral Education (CPE Unit 1) at Pine Rest Treatment Center (Grand Rapids, MI). Career: Youth Pastor (2002-2004), Behavioral Health & Hospital Chaplain (2006-2012). Harbor Hall Residential Spiritual Director (2011–). National Recognition: Rev. Dan is currently involved on the steering committee of the National Association of Spiritual Care Addiction Treatment Professionals, and has traveled nationally to speak as a Topic Session Speaker and Keynote Speaker at the National Association of Addiction Treatment Providers. A recent article in Addiction Professional was written following his involvement in a presentation to CEO’s at the 2016 NAATP Annual Conference.